The Majlis has island surroundings that offer a relaxing and peaceful holiday. 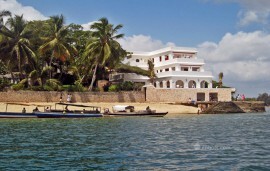 It has luxurious Lamu accommodation and facilities, allowing guests to enjoy the island’s natural beauty and resources. The Majlis Resort is closely located to the Manda and Kiwayu Islands located close by and offers various recreational activities like sailing, water sports, and fishing for adults and children. 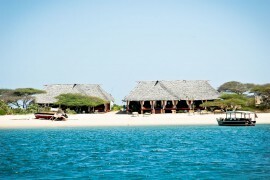 During their stay at Majlis Resort, guests can go for the Lamu dhow adventure, learn to cook in the Swahili cooking class, visit the Jungle gym or enjoy a snorkeling trip to Manda Toto and Kiwayu Islands. Majlis Resort has luxury suites with verandas that open out to the seashores. 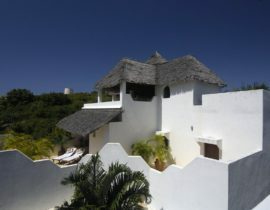 The beach hotel comprises 25 superior and deluxe rooms, junior and royal suites divided into three magnificent villas. All the villas rooms at the Majlis Resort are spacious with traditionally high beamed ceilings, large windows and terraces with spectacular views of the beach, garden, swimming pools and Indian Ocean. 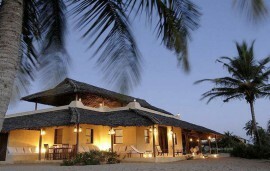 The rooms are counted amongst the best amongst Lamu Kenya Hotels. The suites at Majlis Resort offer a large bedroom area with a king-size bed, a generous en-suite bathroom, a private veranda, electric fans, and a safe. The Majlis Restaurant serves excellent cuisine like Italian and Swahili dishes. The Majlis is an ideal venue for meetings and special events like conferences, seminars, exhibitions, receptions, banquets and retreats. The conference facilities include an LCD projector, a magnetic board with flip chart, television and DVD. It has 25 air conditioned rooms that can host groups up to 50-60 people.